A police probe into the murder of a woman found naked behind a Rotherham hotel is continuing today as detectives attempt to piece together the circumstances surrounding her death. Alena Grlakova, aged 38, was found dead on land off Taylors Lane, Parkgate, on Monday, April 8. 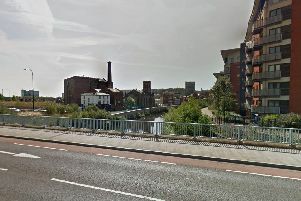 South Yorkshire Police said her body was naked and ‘concealed’ in a dried out stream. A 45-year-old man was arrested on suspicion of murder following the discovery of the body and was later bailed pending further enquiries. Alena was reported missing by her family in January after she failed to make contact and a police search was launched. It was established that she disappeared on Boxing Day 2018. She was last seen leaving the Fitzwilliam Arms Hotel on Taylors Lane at 10.30pm that evening, walking towards Rawmarsh Hill. Earlier that evening, at around 8.30pm, she was seen with a man on Scrooby Lane, walking towards Mangham Road. Alena was last seen wearing a thin black sweatshirt with ‘Little Black Sweat’ written on it in white, black tracksuit bottoms with white stripes down the side and black sliders. She was also wearing blonde clip-in hair extensions. The items have not been located. Detectives want to hear from anyone who saw anything ‘unusual’ or anyone ‘acting suspiciously’ in the area over the time Alena was missing. Alena, a mum-of-four who was originally from Slovakia, was said to have moved to Rotherham in 2008 ‘for a better life and education for her children’. She was ‘separated from her family’ at the time of her death and was described as leading a ‘chaotic and transient life’. Anyone with information should call South Yorkshire Police on 101 and quote incident number 453 of April 8, 2019 or call the incident room direct on 01709 443540.